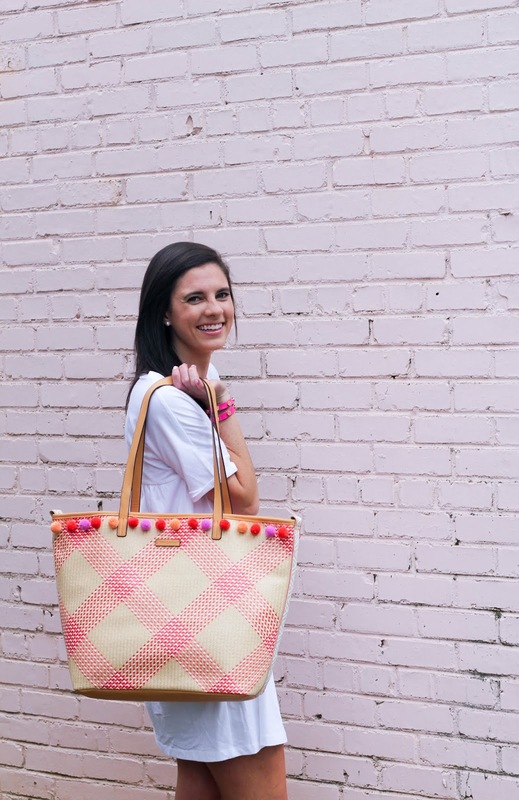 This post was in collaboration with #VeraBradley. As always, all opinions are my own. Thank you for supporting the brands that make Prep In Your Step possible! As graduates turned their tassels this month and officially adjusted to calling their school their alma mater it hit me that a year has gone by since my own college graduation. To add to that realization, it has been five years since I graduated high school. Entering into a new stage is both overwhelming and exciting. My first year post grad has been full of new experiences, friends, and adventures. I continue learning that the adjustment takes time and that allowing yourself breaks (both mental and physical) is important. If you just graduated college chances are you’re not eager to give up on summer just yet. 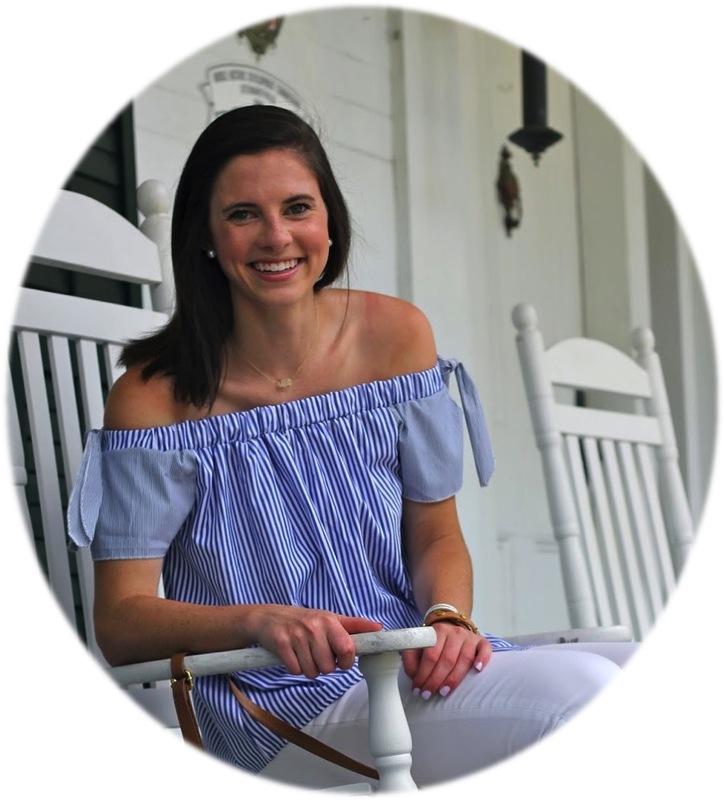 While the real world seems so exciting once college is over, taking advantage of summer as a time to recharge and take a break from your new “adult” responsibilities still can’t be beat. To those of you who are jumping straight into a job after graduation, I so hope you have fun weekend escapes planned. And for those of you who aren’t sure what is next, or are waiting to start grad school in the coming months, take advantage of this time off. Regardless of what category you fit into and the vacations you plan to take this summer, you’re going to need something to pack in! 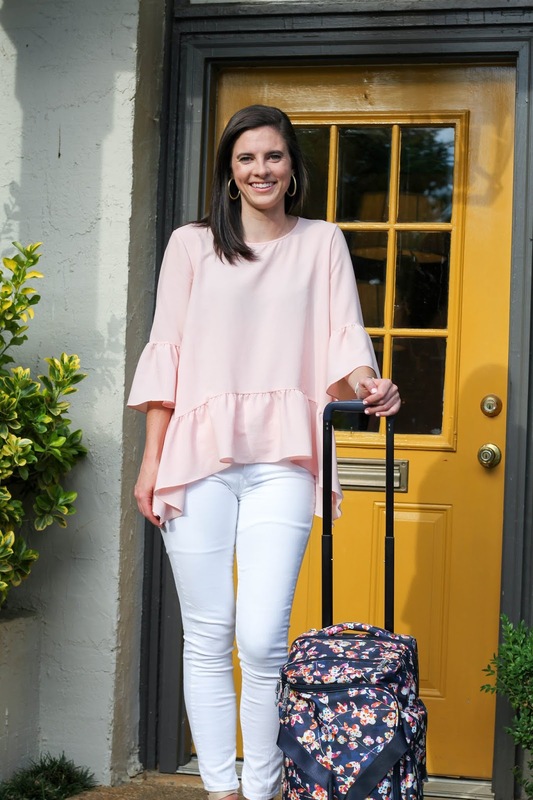 I am thrilled to be partnering with a longtime favorite brand of mine, Vera Bradley, to share some cute bags that would be perfect for any recent college graduate's summer travel plans! Now that you’re getting ready to tackle the real world of bills and all, don’t settle on just any bag. Make sure and mix in durability with Vera Bradley’s stylish and practical bags as you plan your excursions! The vibrant colors and patterns and versatile designs offer something for everyone. I can’t think about Vera Bradley without thinking about the patterned duffels that became a staple sports bag for all the girls I knew in middle and high school. My Christmas list always seemed to include a new Vera Bradley piece in the Capri Melon print I loved so much. These bags were among the first things (aside from American Girl’s Bitty Twins) that I can vividly remember saving my money to purchase. The best part is, I STILL have many of these same pieces years later. Heading to Vera Bradley’s website and perusing the patterns and pieces brought a wave of nostalgia as I struggled to narrow down some of the cute new pieces in my cart. I found two bags in particular that I know I’ll be reaching for as I prepare for my summer adventures and I just had to share them with y’all as the perfect gift or “treat yourself” item for a college graduate. If you’re familiar with some of Vera Bradley’s vintage (did I age myself by saying that?) prints then you may remember that Capri Melon had the prettiest hints of pinks and oranges in the pattern. 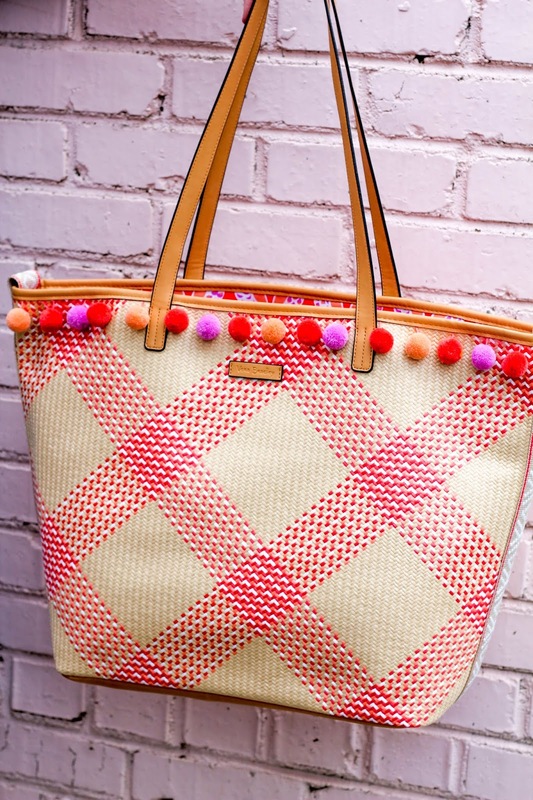 After discovering the Straw Beach Tote in the Woven Coral color, similar to my old favorites, I knew it was meant to be. I am a firm believer that you can’t have too many amazing totes which has led me to try my fair share in the past. 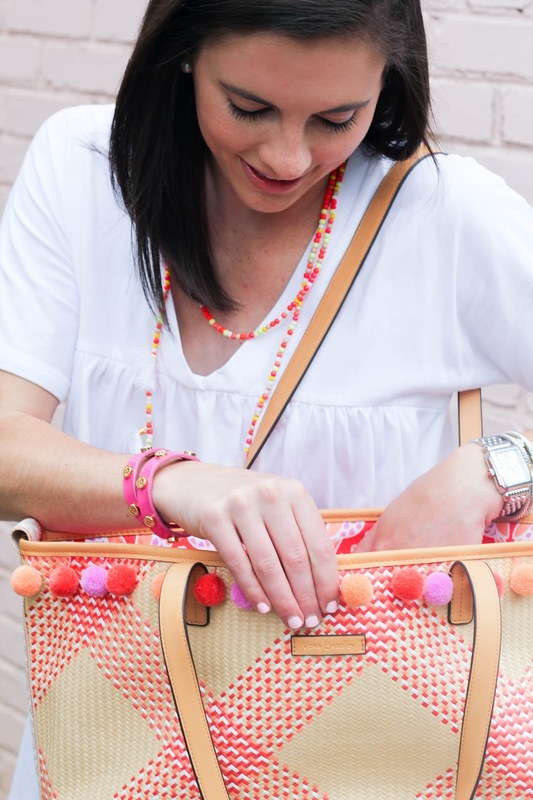 As if the generous size of this Straw Beach Tote wasn’t enough, the adorable pom poms on the front coupled with an equally fun design inside had me sold. I can’t think of a graduate who wouldn’t adore packing this tote up to take to the beach or the pool as a mini vacation from the real world. For those recent grads who moved far from home, or have friends spread out all over the country, chances are you’re going to need something a little bit bigger as you travel to see everyone. 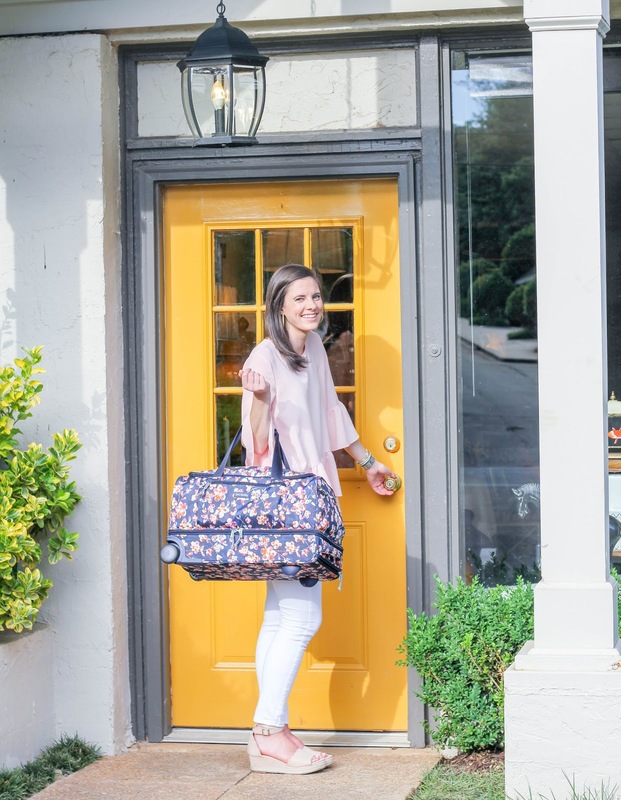 Having a duffel that can easily be thrown in the car before hitting the road, or rolled through an airport as a carry-on bag, makes life on the go so much easier. The Lighten Up Foldable Rolling Duffel allows me to have both options in a single bag. The Cut Vines Pattern has the bright colors that Vera Bradley is well known for. I love that the navy backdrop of this duffel helps it look as good as new even after using it on road trips and through airports time and time again. The handle can easily be pushed down and zipped into place so that your bag is ready to be used in a moment’s notice. When I get back from a trip I can easily fold my duffel into a compact size to be stored away, without taking up much space in my small apartment. While all aspects of the bag are incredible, I have yet to mention my favorite part…the separate zip compartment for shoes or other bulky items allows the main compartment of your duffel to be more organized! Now that you have the perfect bag on your wish list, or to give a recent graduate, where would you plan to use these stylish pieces? This is a sponsored conversation written by me on behalf of Vera Bradley. The opinions and text are all mine. Ugh, I wish I had still summer holidays! Now summer feels like the worst time of the year because there are no public holidays in July, August and September in Hong Kong! Ah the nostalgia! I had many Vera products in the orange Sherbet pattern and Petal Pink! I love their more modern looks now! So cute! I love that Vera Bradley has evolved as we've gotten older!